I am the shadow on the moon at night, filling your dreams to the brim with fright! The Boogeyman has found his way to our house. 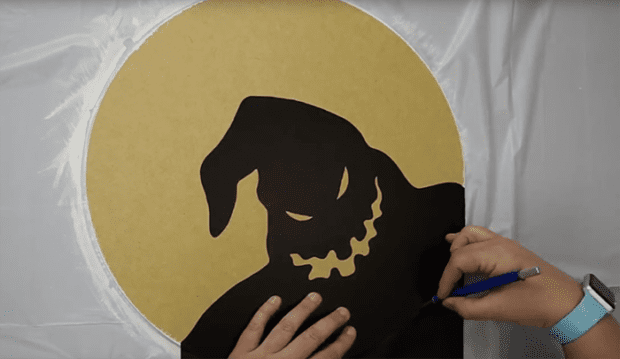 For this Disney DIY, I made a fun Halloween decoration to go with our other Nightmare Before Christmas decor. 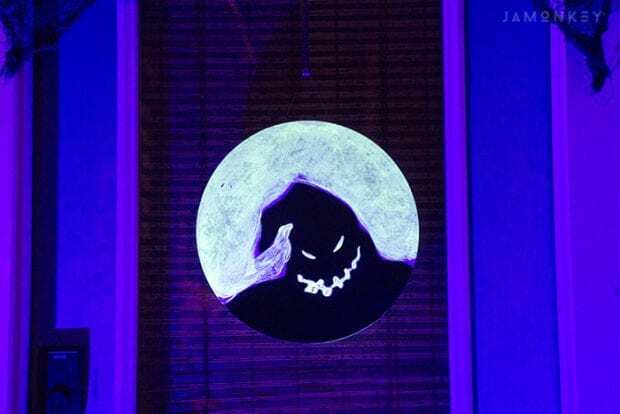 This project highlights Oogie Boogie in the moon, but what makes it so much more fun is that he glows in the dark. I'm completely in love with how well it came out. Check out the video to see how I made this project. Because my front door has a big window, I painted both sides of the moon. Only the front has Oogie Boogie though. I placed the vinyl directly on the MDF black so that it would have a firm hold. I then painted around the silhouette. I painted two coats of white paint, a little bit of metallic grey for texture, and then finished with three coats of glow in the dark decoupage. I then sealed the whole project in Outdoor Mod Podge to make sure it lasted the harsh elements in the South! I mounted the project with screw eyes and some braided cord. 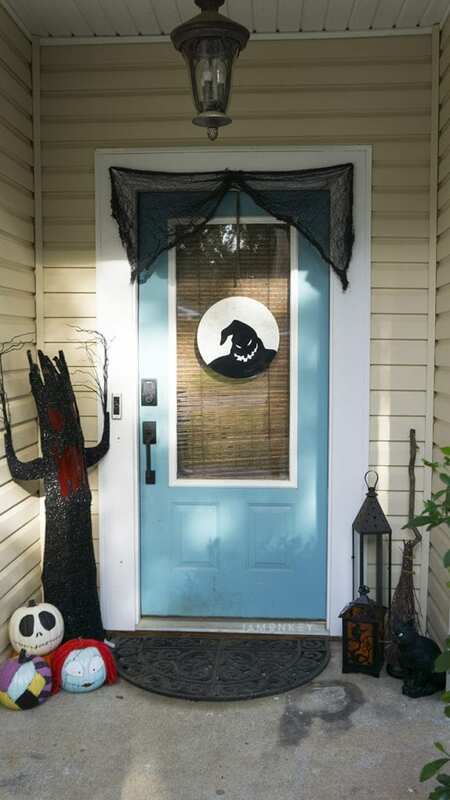 It hangs with an over the door wreath hook. It came out so great and as you can see from the picture above, the glow in the dark effect is pretty awesome.